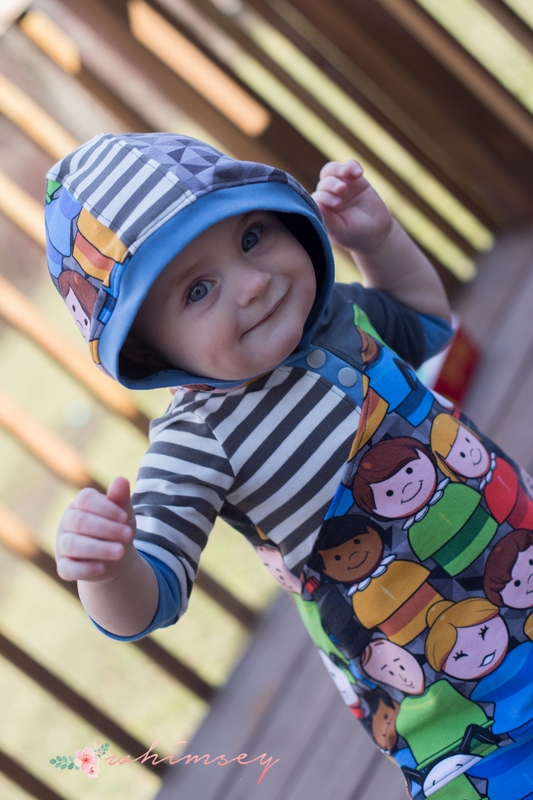 The Ryleigh Set is an incredibly versatile pattern with many options. 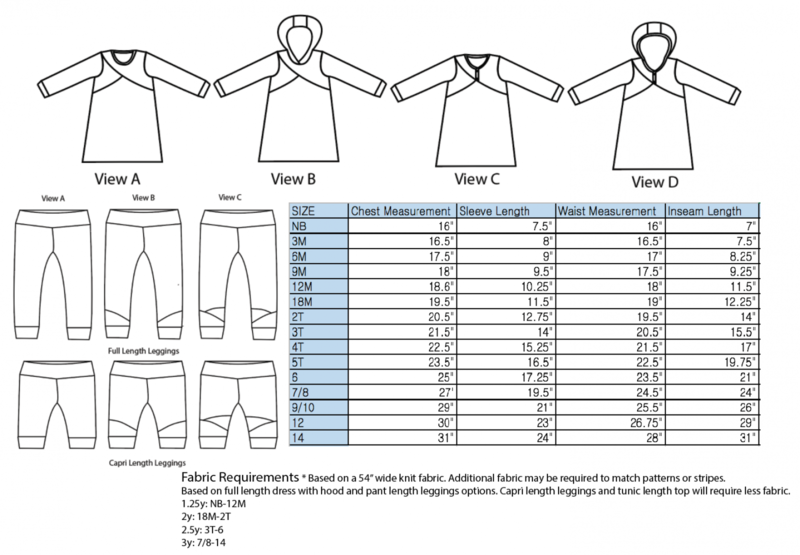 Choose the plain front, single or double swoop, faux placket with hood, Henley style, no placket with a hood or even crewneck! There are multiple sleeve options including tank top, hemmed short sleeves, traditional cuffed sleeves, and sleeves with long cuffs! With the option to sew a tunic or dress length, you can pair it with the capri or full length leggings to create a whole new style. With a size range spanning from NB through 14, this is an essential wardrobe building pattern. Fabric Requirements * Based on a 54” wide knit fabric. 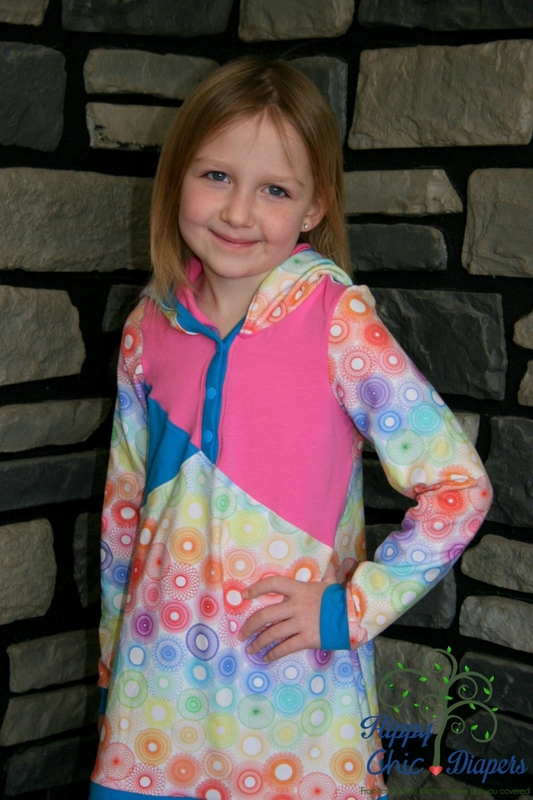 Additional fabric may be required to match patterns or stripes. 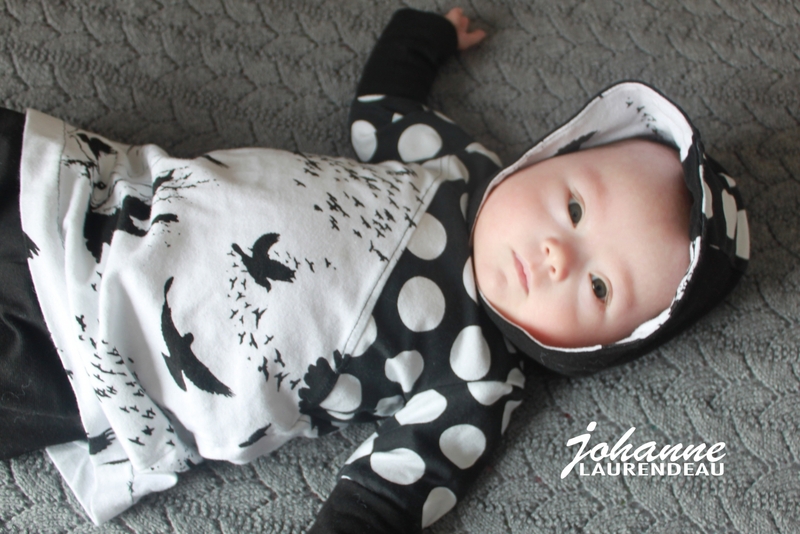 Based on full length dress with hood and pant length leggings options. Capri length leggings and tunic length top will require less fabric. 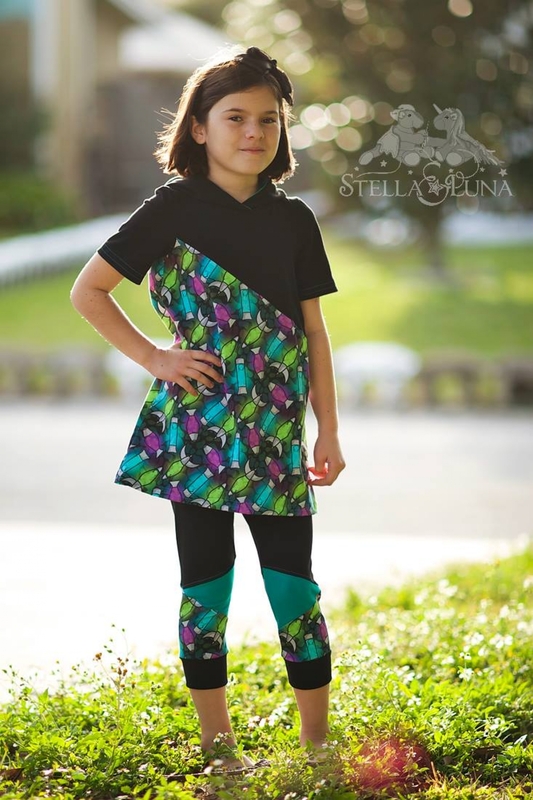 *Color blocked capri length leggings are an option on sizes 12M and up.